Black cumin seed oil is one of the uncommon oils. I started researching this only a few months ago while looking up one of the oils I’m testing for my custom oil blend. It caught my attention when I read it was touted as a cure-all for almost anything with incredible benefits for the human body! Let’s look at a bit of its history. Black cumin aka nigella sativa, fennel seeds, black caraway and Roman coriander is native to Asia. It can be traced as far back as the times of King Tutankhamen. It has a strong smell and is used as a spice in Indian and Middle Eastern cooking. 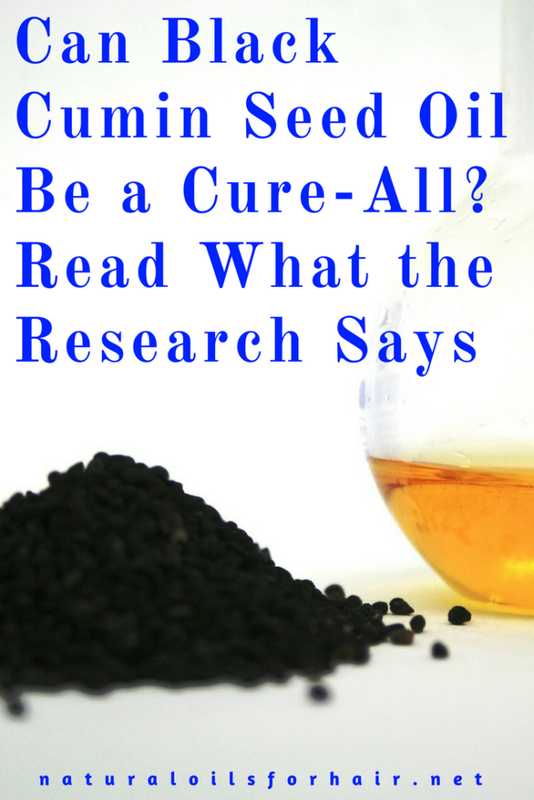 What Are the Benefits of Black Cumin Seed Oil? Black cumin contains thymoquinone and thymohydroquinone, two powerful phytochemicals with antioxidant, anti-inflammatory and anti-cancer properties. They are both free radical scavengers and act as natural inhibitors against cell damage. Additionally, black cumin oil contains thymol, an anti-fungal agent. Another natural oil that contains thymol is arnica oil. It can help control the appetite leading to more effective weight loss, better cholesterol and blood glucose levels. There are many superbugs out there and some of them are increasingly showing resistance to traditional antibiotics. This research shows that black seed oil can significantly slow down Methicillin Resistant Staphylococcus Aureus (MRSA). Black cumin seed oil used as a scalp massage oil helps to eliminate common scalp issues like dandruff, itchiness, flakiness, eczema and psoriasis. As you can see, there is a significant amount of benefit to including black cumin seeds and black cumin oil in your diet. How to Include Black Cumin Seed Oil in Your Diet? Good news. You can include the seeds or the seed oil in your diet or you can include both. Toast 1 cup of black seeds in a skillet for a few minutes until the taste becomes neutral, stirring frequently. Wait until cool, then grind the seeds and mix with 1 cup of raw honey in a jar. Use as a sweetener in teas, cereals and smoothie bowls. Add 1 teaspoon of black cumin oil in your smoothie mix. Try it with the recommendations in this article – Switch Your Smoothies Up with These Premium Natural Oils. Add black seeds to bread and biscuit mixes. Drizzle black seeds over soups, beans, hummus and salads. Always roast black seeds before use as the raw taste isn’t very palatable. You can use the same method I use for toasting pine nuts. Since this is an oil meant to be ingested, make sure you purchase 100% cold pressed organic black seed oil with no additives. A favourite is Amazing Herbs Pure Black Cumin Seed Oil. 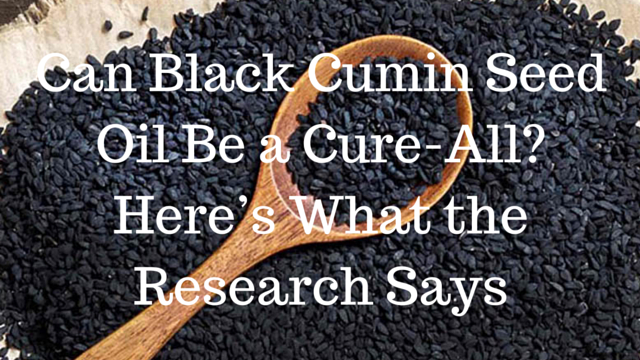 Warning: Do not consume black cumin seed oil excessively as it can lead to stomach irritation. More doesn’t make it any more effective.